This light can be utilized in many applications including docks, marinas, and deck lighting. 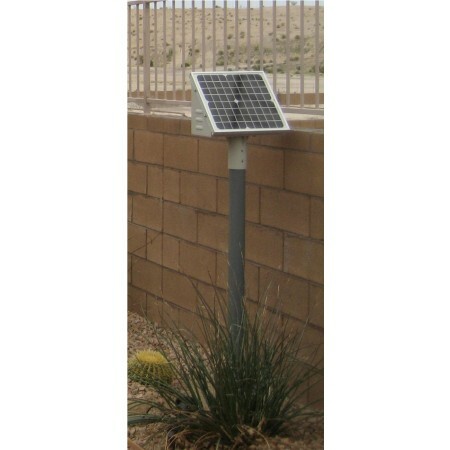 This is American Solar’s most versatile solar light. 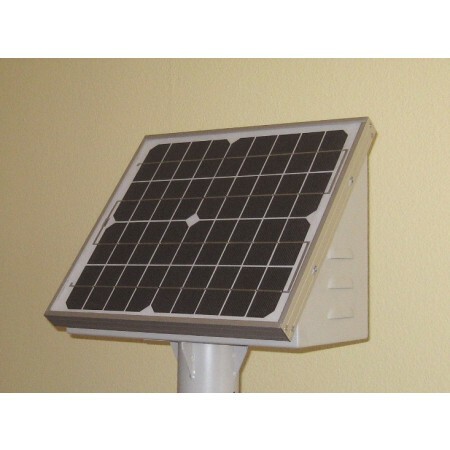 This solar light has a tamper proof box that holds the battery, controller and has a 12 watt solar module on top. The module is sloped and must be south facing to gather the most sunlight. Versatility is the key in this product. With several mounting options, this light can work in almost any situation. 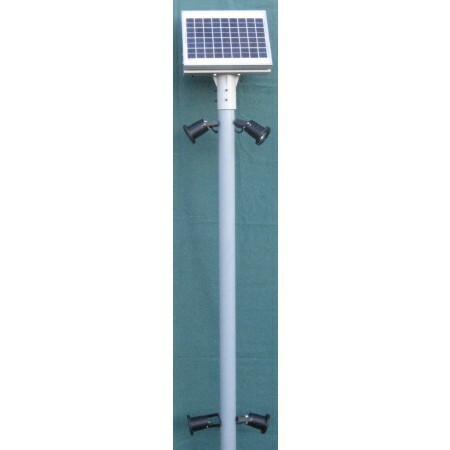 The 7 foot pole has four separate flood lights that can be positioned in many configurations to fit any need. The flood lights use 18, 30 degree LEDs for a focused beam that can reach up to 35 feet.